Mr M A, a 45 year old managing director wanted to be free of spectacles and contact lenses. He has worn contact lenses for last 13 to 14 years but started having issues when swimming and travelling. He also began to notice changes to his near vision. 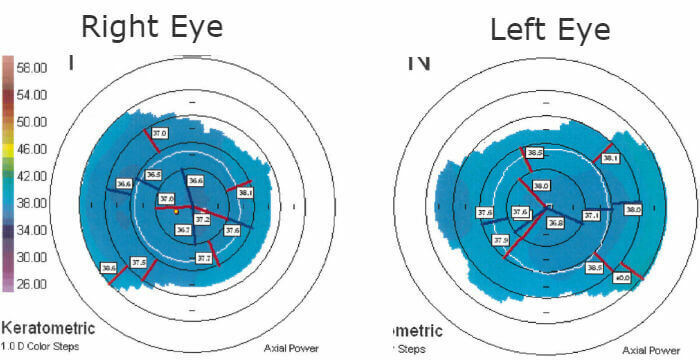 The consultation showed the patient to have healthy eyes, a straight forward myopic prescription, with a slight amount of astigmatism and early presbyopia, making him completely suitable for LASIK surgery. Bilateral Wavefront Intralase LASIK was performed on 10.07.2015 without any complications. The patient was reviewed at day 2 due to the appearance of abnormal healing and possible DLK. At this stage it is difficult to know the correct diagnosis giving the appearance of the cornea. This was not a normal case of DLK and therefore suspicious of bilateral Corneal Toxic Keratopathy (CTK). 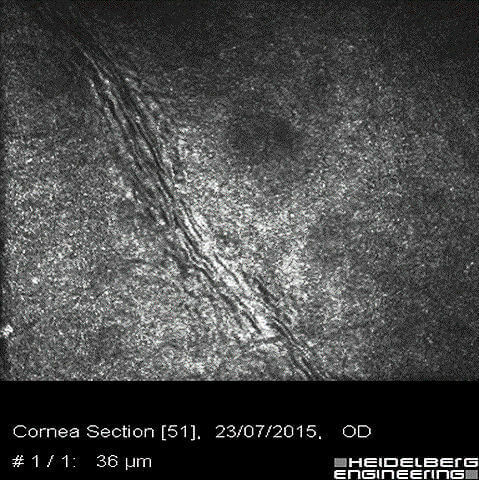 Further testing was carried out, including OCT and confocal microscopy. 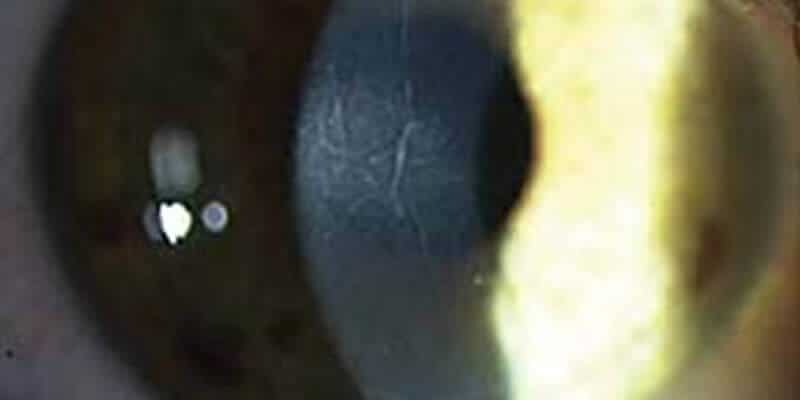 Slit-lamp findings of the cornea indicated that it was clear with only a few striae. 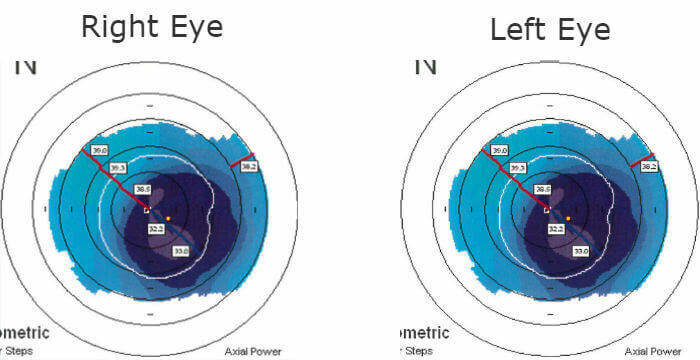 The anterior corneal flattening was spontaneously resolved. The corneal appearance has greatly improved and almost back to normal. Both the patient and surgeon are very happy.